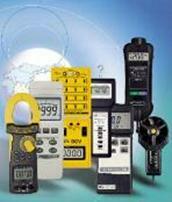 Conrollers & Monitors | Test and Measurement Instruments C.C. RPM Controller / Monitor. 5 to 100,000 RPM. Control Setting, Alarm Setting. Alarm and Control Relay Output, RS232 Computer Interface. 4-20 mA Controller / Alarm / Indicator. Used with All Lutron Transmitters eg. :Vibration, pH, Dissolved O2, Conductivity,Hz,Watts, VAR, P.F., Humdity, light. Humidity / Temperature Controller / Monitor. Humidity: 10 to 95% RH. Temp. : 0 to 60 degC. Control and Alarm setting and Relay Outputs. pH Controller / Monitor. O to 14 pH X 0.01pH, with ATC, Conrol Setting, Alarm Setting, Control Relay Output, Alarm Relay Output. Universal process controllers monitor various parameters and initiate controller functions based on measurements. They receive sensor inputs, provide control functions, and output control signals. Universal process controllers use several control types. Limit controls protect personnel and equipment by interrupting power through a load circuit when a variable exceeds or falls below a set point. Advanced controls use non-linear control strategies such as adaptive gain, dead-time compensation, and feed-forward control. Linear controls use proportional, integral and derivative (PID) control; proportional and integral (PI) control; proportional and derivative (PD) control; or proportional (P) control. PID control uses an intelligent input/output (I/O) module or program instruction for automatic closed-loop operation. PI control integrates error signaling for steady-state or offset errors. By contrast, PD control differentiates error signals to derive the rate of change. PD control increases the speed of controller response, but can be noisy and decrease system stability. Universal process controllers differ in terms of performance specifications, control channels, control signal outputs, and sensor excitation supply. Performance specifications include adjustable dead-band or hysteresis, minimum and maximum set points, update rate or bandwidth, and percentage accuracy. Hysteresis or switching differential is the range through which an input can be changed without causing an observable response. Typically, hysteresis is set around the minimum and maximum end points. Control channel specifications for universal process controllers include the number of inputs, outputs, and feedback loops. Multi-function controllers and devices with multiple, linked looped are commonly available. Control signal outputs include analog voltages, current loops, and switched outputs. Some controllers power sensors with voltage levels such as 0 – 5 V or 0 – 10 mV. Others power sensors with current loops such as 0 – 20 mA, 4 – 20 mA, or 10 – 50 mA. Selecting universal process controllers requires an analysis of discrete I/O specifications, user interface options, and special features. Devices differ in terms of total number of inputs, total number of outputs, and total number of discrete or digital channels. Some universal process controllers provide alarm outputs or are designed to handle high power. 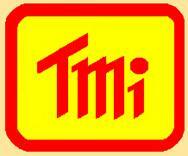 Others are compatible with transistor-transistor logic (TTL). Analog user interfaces provide inputs such as potentiometers, dials and switches. Digital user interfaces are set up or programmed with a digital keypad or menus. Universal process controllers with a graphical or video display are commonly available. Devices that include an integral chart recorder can plot data on a strip chart, in a circular pattern, or on a video display. Special features for universal process controllers include self-tuning, programmable set points, signal computations or filters, and built-in alarms indicators. Universal process controllers vary in terms of communications and networking. Both serial and parallel interfaces are available. Common protocols include attached resource computer network (ARCNET), the AS-interface (AS-i), Beckhoff I/O, controller area network bus (CANbus), DeviceNet, Ethernet, FOUNDATION Fieldbus, general-purpose interface bus (GPIB), Seriplex, smart distributed system (SDS), small computer system interface (SCSI), INTERBUS-S®, process fieldbus (PROFIBUS®), and Sensoplex®. INTERBUS-S is a registered trademark of Phoenix Contact GmbH & Co. PROFIBUS is a registered trademark of PROFIBUS International. Digital panel meters measure and display all types of processes and electrical variables, such as pressure, flow, temperature, speed, current and voltage in an alphanumeric or numeric format, often as a bar graph. Many of these displays have totalizing, recording, conditioning, and other functionalities. Display types for digital panel meters can be either alphanumeric or numeric only. Alphanumeric displays can display both numbers and letters. They are either a sixteen-segment display or a 5x7 dot matrix display. Numeric displays can display numbers only. They are either a seven-segment display or a 4x7 dot matrix display. When specifying a digital panel meter it is important to specify the number of digits displayed. Common character sizes for digits on digital panel meters include 0.37 inches to 0.56 inches, larger than 0.56 inches and less than 0.37 inches. The most important parameters to consider when specifying digital panel meters are the dimensions. Most digital panel meters are configured to be mounted into a rack or panel, so the face height and face width are important considerations. Features common to digital panel meters include set point options, alarms, on/off control, bargraph display and adjustable display. A digital panel meter that has set point options has the ability to set control limits or set points for process parameters such as speed, temperature, pressure or humidity. In a heating application, the unit sends an off control signal when the set point temperature is approached or exceeded and an on control signal when the temperature drops below the set point. Limit (on-off), linear (proportional, PID) or other non-linear control technologies can be used to generate the control signal. A panel meter that has on/off control has the ability to send an on-off output signal to activate or deactivate a process unit (oven, motor, fan, etc.) utilizing relays, open collector transistors or other technologies. On-off, bang-bang or limit control is one of the simplest techniques for process control. Inputs to digital panel meters can be one of many types. These include but are not limited to, AC voltage, AC current, AC power, DC voltage, DC current, DC power, strain gauge, resistance and temperature. Many digital panel meters are configured to accept multiple inputs and have adjustable displays to switch between these inputs. Output types available for digital panel meters include serial communications such as RS232, relay outputs and analog outputs. Analog outputs are used in applications that require digitally controlled output voltages usually within the range of 10 V or less, and at current levels below 10 mA. The heart of an analog output channel is a digital-to-analog converter (DAC), which converts a digital code into a voltage level. The output of the DAC is then processed or conditioned to produce the required output signal characteristics. Temperature Immersion Probe, Thermistor Sensor . for pH Controller PPH-2108,Range : O— 60degC . Temperature Controller / Monitor. Type K/J/T/E/R/S, Pt 100 ohm. Control Setting, Hi/Lo Alarm, Hysteresis Value Setting for Control & Alarm. Relay Outputs.